Title page of the 1574 edition of the Opera nuova intitolata dificio di ricett. Image from Archive.org. In 1525 a book called Opera nuova intitolata dificio di ricette was published in Venice. 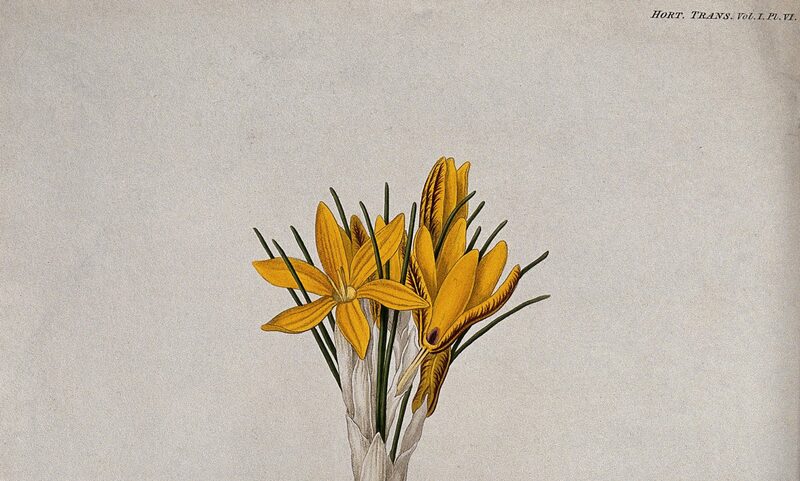 The book promised to reveal all kinds of secrets to the reader, from cosmetic to medical recipes. This anonymous Italian best seller (which we may call in English ‘Palace of Recipes’) was a collection of 187 short and straightforward recipes, most of them only 5 or 10 lines long. The printer combined utilitarian and pragmatic secrets (including treatment of everyday ailments) with playful elements. Indeed, a taste for the wonderful and a desire to entertain guests were a vital component of this book. After all, the printer included instructions to perform magic tricks such as ‘how to make a candle burn under water’. The work was a commercial success in Italy, and was reprinted 28 times in the forty years after its publication. The Dificio di ricette also circulated across Europe in many different languages, giving it a truly Pan-European flavour. The work was translated into French in 1539 and in 1545, also translated into Dutch via the French translation. This kind of indirect translation was common in the secrets genre. As William Eamon has shown, Alessio’s Secrets were also translated in English through the French translation. It is notable that in both cases, the French translation served as a cultural and linguistic mediator and it was in France that the Palace of Recipes reigned supreme. 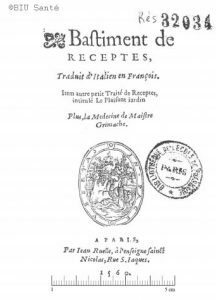 Titled the Bâtiment des recettes, the French edition of the work found even greater success than the Italian one. Between its first French publication in 1539 and the final edition in 1830, the book was published 60 times. The main reason for this enduring success is probably the fact that, in 1631, the Bâtiment des recettes was added to the series of books printed in Troyes and commonly known as the ‘Bibliothèque Bleue’, since all the editions had blue covers. This collection of cheaply printed booklets included many books of secrets, and the Bâtiment des recettes continued to be sold in France until well into the 19th century. What makes the Bâtiment des recettes so interesting is that it is not simply a translation of the Dificio di ricette. Rather it is a collection of different texts, themselves anonymous compilations of recipes. These include a collection of 26 ‘Secrets Specially Proposed for Women’ added by the printer Jean III Du Pré in 1539 and the ‘Pleasant Garden’ (Plaisant jardin) added in 1551. A translation from Italian, the ‘Pleasant Garden’ consisted of 202 varied medical recipes ‘developed by doctors very experts in physic’. Therefore, this 1560 edition contained more than double the number of recipes in the original Italian Palace. Of the many editions of the Dificio, the 1560 French edition proved particularly popular and was most reprinted. Recently, Geneviève Debloc published an annotated critical edition of the 1560 edition of the Bâtiment des recettes. This is a very useful tool for historians, tracing the several different additions and suppressions in the Bâtiment des recettes throughout its four centuries of history, as well as providing us with tables that offer a systematic account of the ingredients used in the recipes (see my review here). Thanks to digitisation and new critical editions, a growing number of early modern sources are becoming more easily accessible to scholars. We can compare and contrast complex texts, as in the case of the Dificio. Through a bibliographical approach, we are given the opportunity to read an important primary source in the history of knowledge in a new way – at the crossroads of the history of the book and the history of technologies in tracing the evolution in the composition of the text (including paratextual materials and changes in vocabulary), it is possible to understand how multiple agents were involved in the production of the book, from translators to printers. The Bâtiment des recettes can therefore be understood as both process and final product of these interventions. Through its fragmentary and polymorphic constitution, this re-edited recipe book gives us compelling insight into early modern life in France and Italy and its medical practices. Julia Martins is a PhD student at the Warburg Institute in London. Her research focuses on recipes about female fertility in Italian books of secrets (as well as their translations) from 1555 to 1700. Her aim is to show how knowledge about “women’s secrets” circulated in early modern print, drawing a comparison between Italian and French books of secrets and English midwifery manuals. Next PostNext Here’s to a New Year!